In order to avoid unnecessary query on database it is a common pattern to define a cache in application layer to cache the query result from database. See one example below. 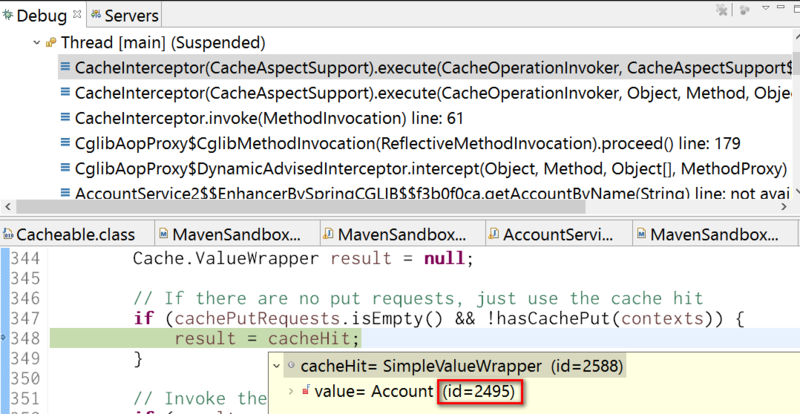 Here the application cache is maintained in a custom class CacheContext. And how to research what magic has been done by Spring to achieve this behavior? We use the following code to research. It is expected that the request sent by line 31 will directly reach database, while the second request in line 34 will be handled by Spring cache handler. 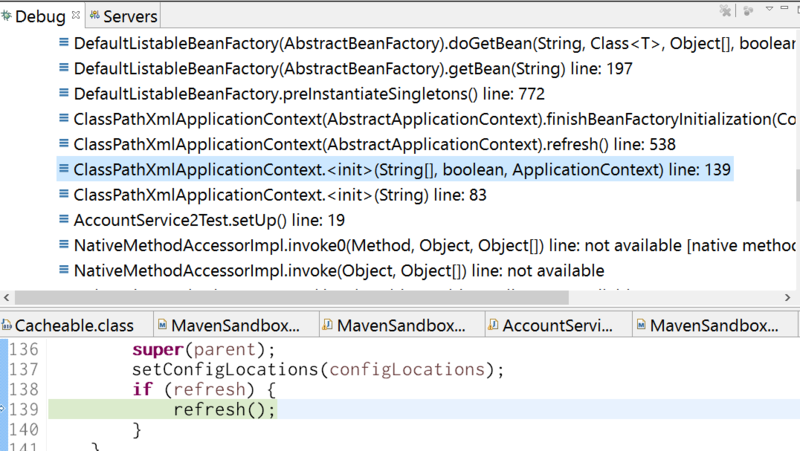 Here in line 31, in debugger we can find that accountService2 is not an instance of application class com.sap.AccountService2, but a dynamic proxy class generated by Spring. In example 1, the logic of cache evaluation and fill is done by application, and now it is done in method execute below. 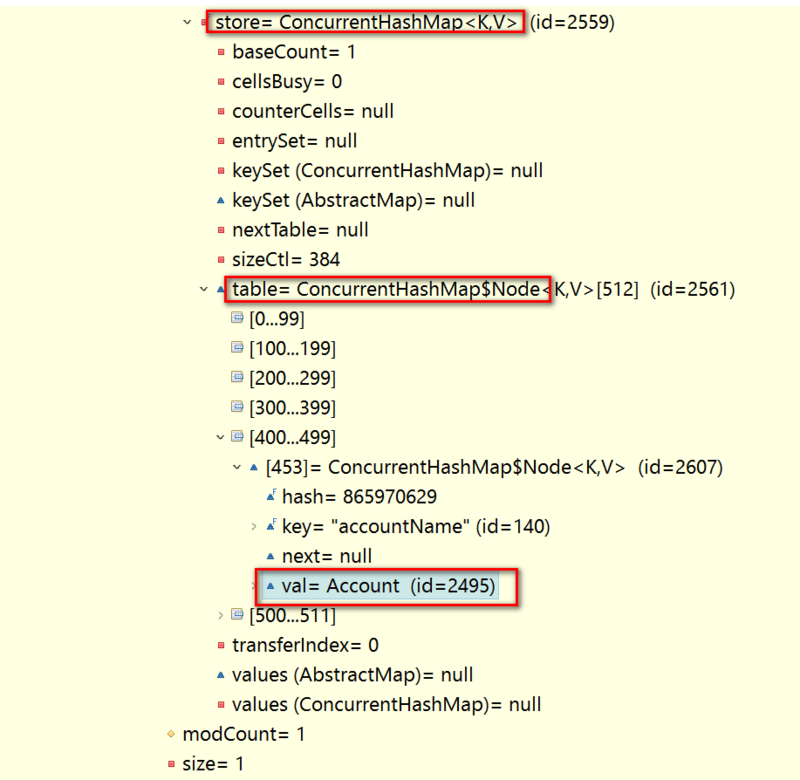 After application method to retrieve account from database is done, the result, Account instance with id 2495 is filled to Spring cache, the variable contexts below. 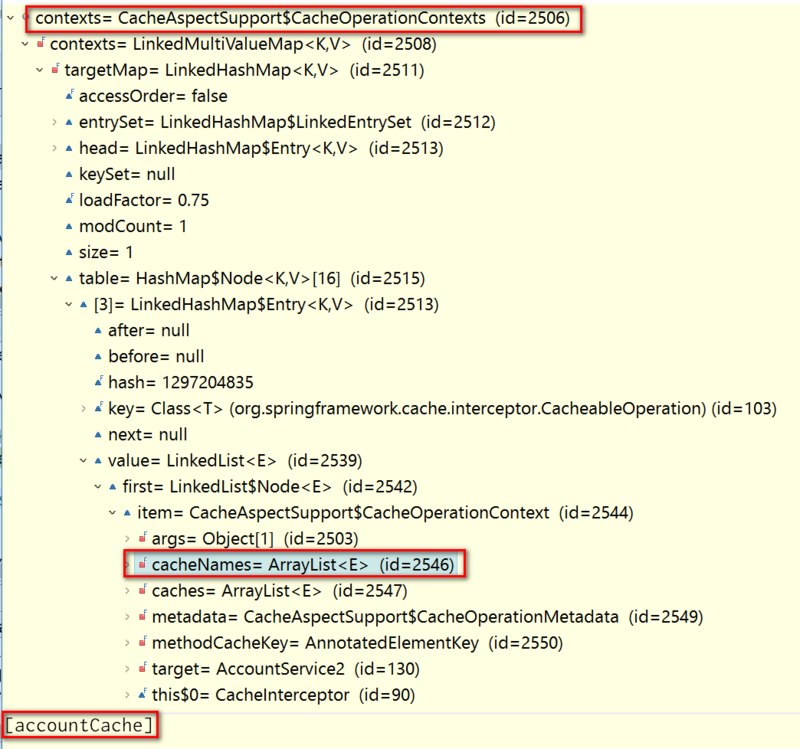 Below is the screenshot for Spring internal cache to store application data, which is based on ConcurrentHashMap. Our cached Account instance with id 2495 could be found there. The last question is, how and when the dynamic proxy is generated? Here the dynamic proxy is created based on configuration defined in xml with the help of CGlibAopProxy. For more detail about CGlibAopProxy, please refer to Spring official document.